ATTENTION FULL SERVICE AUTO CENTERS, MOBILE DETAILERS, AND CAR WASH OWNERS!!!! HOW WOULD YOU LIKE TO ADD THOUSANDS OF DOLLARS TO YOUR BOTTOMLINE???? CALL FOR DETAILS!!!!!!! 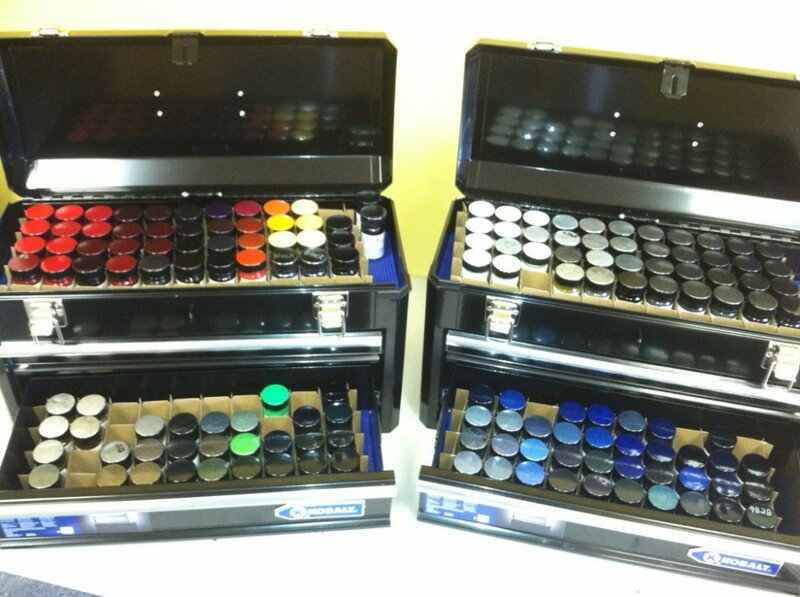 INTRODUCING DR COLORCHIP 160, 80, AND 30 COLOR PAINT CHIP REPAIR COMMERCIAL SYSTEMS!!! THE PRICE ON THIS LISTING IS FOR THE 160 COLOR SYSTEM. 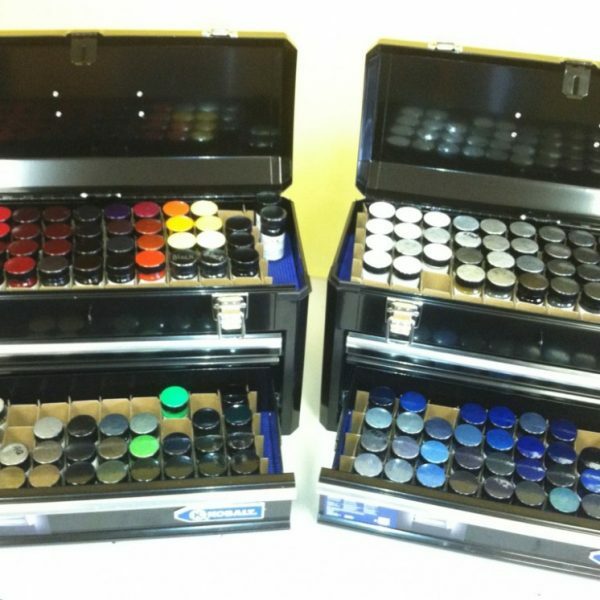 IF YOU ARE INTERESTED IN THE 80 OR 30 COLOR SYSTEM, CALL ME!! Car care & service centers have an untapped opportunity to add profit to their bottom lines each day by offering fast, professional touch-up repairs to their customers who are waiting for oil changes, tire replacements, brake jobs and other common services. Each day thousands of vehicles pass through the service bays of car care centers large and small. A large number of them are in need of paint chip repair and other minor touch-up jobs. 2) do nothing and live with them. Neither option offers a very good outcome. . .until now. Everyone understands the typical bottle of touch-up paint allows little more than creating the effect of a good case of measles on the hood of a car. Even with the newer applicators, it’s almost impossible to perform a respectable repair on one chip, let alone hundreds or thousands of them. The paint is still difficult to apply, very time-consuming when addressing several chips, and leaves little paint blobs at each location where applied. And forget about trying to touch-up the smaller speckled chips from constant highway travel- it can’t be done short of spraying the entire hood. The other option of doing nothing is often regrettably made by default for fear of making the vehicle’s appearance worse by attempting option 1. So the owner is left with the frustrating visual of white chips randomly glaring back at them. . .that is, until they rust and become brown chips. With the larger service chains each cumulatively seeing thousands of customer cars each day, the profit potential for them is enormous. Tire service companies, for example, have very low profit margins on selling and installing a new set of rubber. Adding a paint chip repair option, if at only $30 per car (which is low), would significantly boost their daily bottom lines. Even with labor costs factored in, most of the income at that price point would be pure profit. These profit figures assume just 2 cars per day! Most service bays see about 300 or so vehicles come through on a daily basis. At servicing only 5 percent of the customers, and at only $30 per touch-up, these are very conservative estimates. The average price of a wholesale touch-up repair at used car dealerships is $75, and the likelihood of providing some touch-up repair for more than 5 percent of all service customers is great. AS OF RIGHT NOW, WE HAVE NUMEROUS SERVICE CENTERS AT VARIOUS LOCATIONS. ON AVERAGE AT EACH LOCATION, 350 CARS ARE COMING IN A DAY 7 DAYS A WEEK. THEY ARE AVERAGING 20-25 CARS A DAY FOR CHIP REPAIR SERVICE. THEY HAVE $30, $40, AND $50 PRICE POINT PLANS BASED ON THE NUMBER OF CHIPS. THE AVERAGE TICKET IS $40. THAT’S $800-$1000 OF ADDITIONAL REVENUE COMING IN EVERYDAY USING OUR SYSTEM! THIS IS A NO-BRAINER IF YOU ARE LOOKING FOR AN ADDITIONAL REVENUE GENERATOR AT YOUR ESTABLISHMENT WITH LITTLE OVERHEAD AND MASSIVE PROFIT MARGINS!!!!! CALL PHIL AT 561-313-8162 FOR ALL THE DETAILS AND TO ANSWER ANY QUESTIONS TODAY!!!!!!!! I AM THE EBAY SALES REP FOR DR. COLORCHIP!!! I HAVE ALL OEM PAINT COLOR CODES AVAILABLE!!!! PLEASE ALLOW 10 DAYS TO ASSEMBLE!!!!! A $500 DEPOSIT IS REQUIRED WHEN PURCHASED AND THE REMAINING BALANCE DUE IS CASH OR BANK CERTIFIED CHECK!! I HAVE A 100% POSITIVE FEEDBACK RATING…..CHECKOUT MY OTHER ITEMS UP FOR SALE…..BUY WITH CONFIDENCE!!!! !